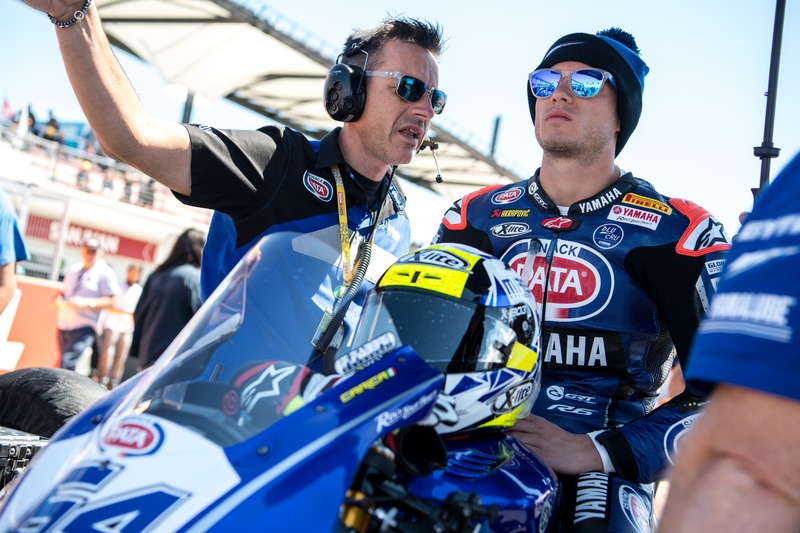 GRT Yamaha Official WorldSSP Team’s Lucas Mahias stormed to his fourth podium finish of the season today at Circuito San Juan Villicum, taking the chequered flag in third place after a titanic three-way battle in front of a large and passionate Argentinian crowd. Federico Caricasulo’s South American weekend ended in frustration, as the Italian crashed out of contention just two corners into the 19-lap race following contact with another rider. Mahias, starting from pole position for the fifth time this season, lost out on the opening lap to Jules Cluzel but slotted in behind his fellow countryman as the pursuing pack battled for position behind. Championship leader Sandro Cortese was quick to join the two Frenchmen at the front of the race, as the trio rapidly pulled a gap on the rest of the field. Mahias shadowed race leader Cluzel for 16 laps, with Cortese happy to sit in his slipstream until two laps from the end when the German passed the GRT Yamaha rider to take second place and start the pursuit of his main championship rival. Mahias was unable to match the straight-line speed of his two rivals, but crossed the line to claim his fourth podium finish of the season in third. Caricasulo’s Argentinian adventure was brought to a premature conclusion just two corners into today’s WorldSSP race, when Corentin Perolari tried to force his way up the inside and made contact the GRT Yamaha rider, causing him to lose the front. Caricasulo slid off uninjured, but the bike was too damaged in the crash for him to rejoin safely and he was forced to retire.